I was thinking of a cover story: Where is the female Mark Zuckerberg? He hemmed and hawed as graciously as possible – “they definitely have the ability” – and said something to the effect of female brains being “wired differently” – while also acknowledging that a lot of it was “social”. It might have been an unfair question to spring on him. I ascribe to what I think of as the plane crash theory due to something I read when I was taking flying lessons years ago. Basically: a small plane crashes not because of one big thing going wrong, but a bunch of small things that accumulate into total disaster. I suspect it’s that way with women in tech. Lots of small things going wrong that work to keep them out of tech, or at the margins of tech. “….the problem is that not enough women want to become entrepreneurs. Oh, well, that makes it easy then. “So why don’t women want to start startups?” asks Jessica Livingston, the only female partner at investment firm Y Combinator, the subject of the book THE LAUNCH PAD: Inside Silicon Valley’s Most Exclusive School for Startups. I wonder if it’s not that not enough women want to start startups, but that not enough women even consider it as an option. I was one of them. I wish now that I’d started a startup in my twenties instead of wasting those years in a series of boring corporate jobs. But the idea never occurred to me. Maybe women just aren’t interested in tech. Maybe male and female brains really are wired differently. But maybe those differences have been exaggerated. Maybe we overestimate the nature and underestimate the nurture that shapes those brains growing up. “….to find out what would happen when a group of eight elderly men were given the experience of living 20 years earlier. She and her team created a living environment complete with food, films, photos from the period. The group discussed news, politics and sport in the present tense as if they had travelled back in time. This experiment addresses health, but it’s worth thinking about all the things in our own shared environment that cue us about gender, what it means and how to be a man or a woman, the state of mind that gets created. But first you have to see those self-imposed limitations for what they are in the first place. A few weeks ago I had lunch with a bright young twentysomething female in tech. She identified herself as a geek in junior high and high school who wanted, she said, to be friends with the people who shared her geek tech interests, who were all…guys. They were nerdy and uncool and they recognized her as nerdy and uncool and so “wouldn’t have anything to do with me”. They were only interested in the “hot girls”. So maybe Arrington is right and there isn’t any sexual discrimination whatsoever in Silicon Valley; if anything, female founders and entrepreneurs have the edge, because they’re rare and exotic as unicorns and so everybody wants to write about them and have them speak at conferences and do business with them. Maybe the discrimination happens earlier, in a number of ways on a number of levels, persuading girls to steer clear of tech or socially isolating the girls in tech so that founding a company just doesn’t strike them, as Jessica Livingston put it, “as an option”. Kind of like men once telling women that women didn’t have the vote because women didn’t want the vote. My point isn’t that women should start a startup; I agree that most women aren’t cut out for it. Most men aren’t cut out for it. But if a woman has the drive and ability and nature to do it, she should be presented with the same opportunities as any guy. And if those opportunities get thwarted at different stages along her life path, we need to examine why that is instead of blaming or getting defensive or dismissing the whole mess as immaterial because women have obviously “decided” that they want to hold hands and sing songs about love and peace and fingernail polish and Pinterest instead of descending into the muck and fray of icky macho startup culture. We create our sense of ourselves through our interaction with other people, through our interaction with the culture at large. A culture that genuinely encourages girls and women to go into tech, to start up companies, would reflect a shared reality in which girls recognize the same range of possibility for themselves as for their male counterparts. That’s why it’s so important. Because it’s kind of ironic that Arrington told girls and women to “look in the mirror” when it’s the female half of the species traditionally charged with vanity, with looking in the mirror all the time. There’s that saying: you have to see it to be it. Maybe it’s not about women failing to “look in the mirror”. It’s about what girls see looking back out at them. Or if they see anything at all. Hopefully geeky girls will get together and make something awesome. As an entrepreneur several times over, the idea of bootstrapping has quite a bit of appeal, but VC, not at all. Like Amy Hoy of Unicorn-Free, I have zero interest in giving over any control whatsoever. I want to run my businesses, not have my businesses run me, and I see that over and over again in the start-up field. Thanks for the link @Anne. It’s interesting to read the two viewpoints together. Immediately I think I was a bit on edge with the title, “Searching for the female Mark Zuckerberg” – and my gut reaction was “Why the hell would we want one?” The Zuckerbeast from all that I have heard and read (I haven’t actually met the guy, or talked to him) he’s as far as a human being goes, pretty wretched. A brilliant minded, but spoiled brat of a person. Unfortunately, CEOs, and owners of companies of that sort seem to all be sharks, regardless of chromosome type. The pursuit of money above all else. I understand that this post is more about women in tech (of which I am, and one of my best girlfriends is an amazing database guru) We are a minority now – but I think we will only rise in number of employees as well as owners. Mainly because the internet is becoming the 21st century equivalent to the community factory/plant. Pick up a little HTML and CSS knowledge and you can get a fulfilling job that pays a living wage. I’m not sure this is about looking for another Zuckerberg in terms of personality traits. 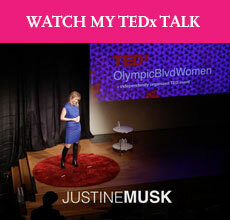 I got the impression Justine was talking about ‘the female Mark Zuckerberg’ in terms of success. Regardless of whether he’s someone you love or hate, Facebook was and is a game-changer. That’s the kind of success women don’t tend to have, for whatever reason. I think it’s worth exploring why. What is success ? Is it being a human first before anything else ? Is it being a billionaire entrepreneur ? Is it being an entrepreneur and still being human ? Why is being human first more important than being an entrepreneur ? Why become an entrepreneur ? Does it give happiness ? Does wealth give happiness ? Are billionaires more happy than the middle class working people ? Does becoming a billionaire entrepreneur make you more human and humble ? In the end what matters is you succeed from your inner strength and follow your gut feel. Nothing else matters. Being a billionaire is not as important as being human. Most people lose sight of this fact. Social networks have numbed the human aspect of relationships in people. It has made a lot of billionaires but people lose sight of true meaning of relationships, they are people to people, and not computer to computer. Just look at all the people believing they are in love with a girl who only lives on the digital spectrum. Think inwards, reflect on yourself, improve yourself every day, compete with yourself to improve yourself, reach out to people, and you will be a successful human. Success is being happy with yourself first.